What stands out of you from the photos? Will the lower bodywork make it into product in some form/function? Definitely has some 950/990 Super Enduro to it. You know this "...Was zum Teufel ist das? ..." should have translated as "...What the feck is that!..." Spyshots are great for keeping us all entertained and little more until next year when things get decisive after many try/fail design attempts happen. 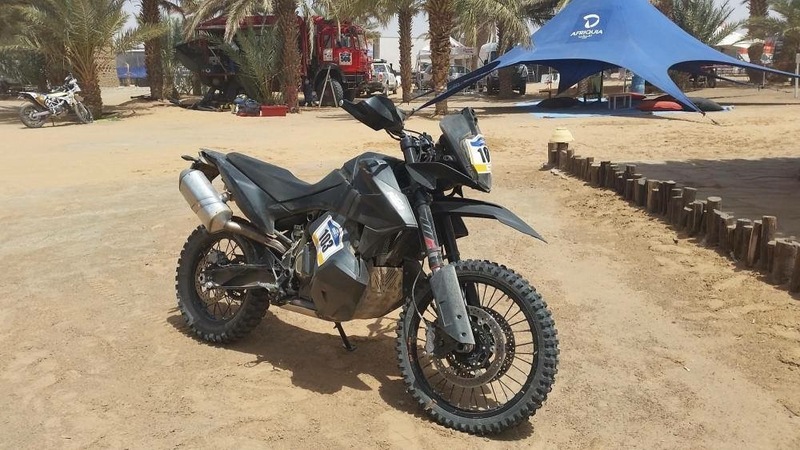 That tank looks very close in concept to the one on the new 450 Rally. I think it's a great design, it lowers the COG a lot and also protects the engine (and the rider's legs). I like a lot the overall layout of this and have a hard time understanding the negative responses I see on FB and other places (but then I remember that people reacted in a similar way when the 950 Adv was introduced). It's a fresh, purposeful layout which seems very functional, as opposed to the ridiculous, top-heavy & tall design that the Yamaha prototype is showing. Amusing how everyone goes crazy for that thing even if its layout is the complete opposite of what an adv bike should be. Form with no function seems to be the main drive of "adv riding" today. What I don't like is that cable clutch and the fact that the brakes are some cheap no names instead of Brembo. They're going for a price and that's bad. That rear tire in the last pic above is seriously torn up! Looks like a tester really put it through some aggressive riding! Does that switchgear on the left handlebar indicate a host of electronic rider aids? Not sure, but KTM does seem to continue to push the feature set in the area of traction control, maps, and other electronic controls/aids. Yes, it'll apparently have TC, Corner ABS and the like. I'm watching this bike closely. 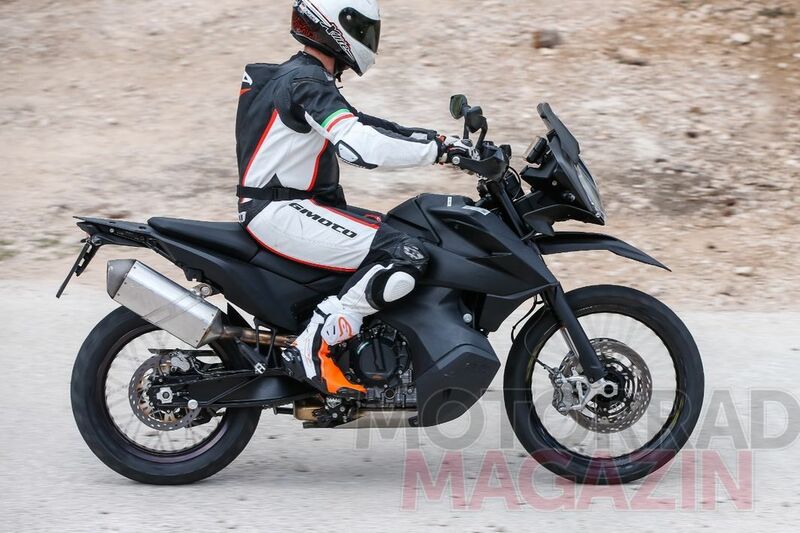 If the design continues to look like these spy photos I'm jumping ship and moving to KTM. Hopefully a perfect ratio of power and weight. So so SO excited!! I really like the high fender setup on this photo. The seat looks like a two piece rather than the one piece at EICMA. And hopefully the lower fairing is the fuel tank! Posted this the other day on our IG feed and getting quite a few negative comments about the tanks; they stick out too far apparently. Also some negs on the headlight but we've heard that before about the 1290. Can't wait to ride one! Where is the drool emoji? Don't care what keyboard commentators are complaining about..odds are the guys in Mattighofen know a thing or two about this topic. Sign me up! 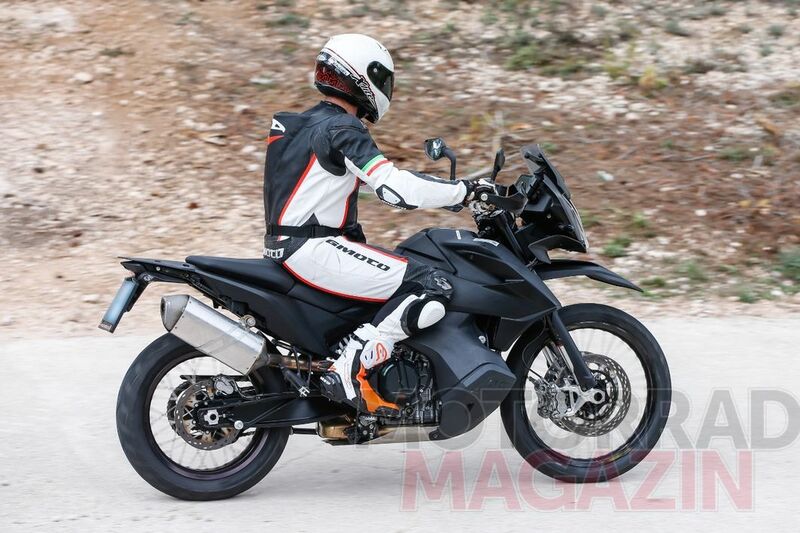 In the release highlighting the preproduction model at the European Rider Rally, KTM confirmed details about the 790 Adventure R including a new 799cc LC8c parallel twin tuned for a wider spread of power compared to the 790 Duke’s street-focused delivery. 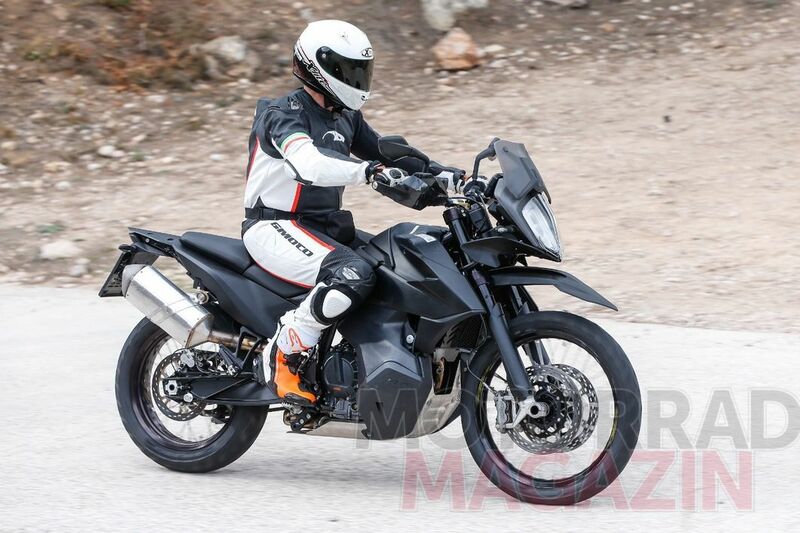 KTM also claims a 250-mile range from the low-slung fuel tanks. If the fuel consumption is similar to the 40 mpg average Cycle World experienced on the 790 Duke that would indicate a 6-gallon-plus fuel capacity. 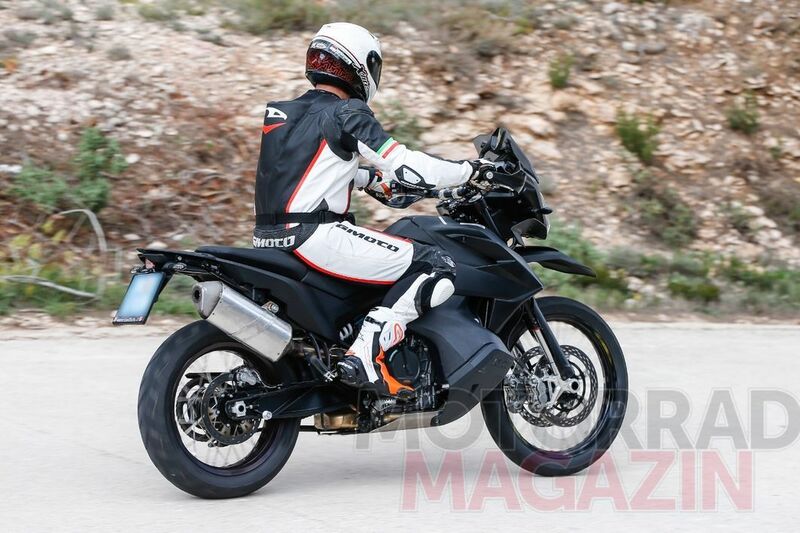 Fully adjustable WP suspension is also confirmed—as would be expected from an R model KTM. Wow 250 mile range! My 990 has just 5.1 gallons for roughly 185-200 mile range. Hearing of a dry weight of 210kg or 463 lbs. With 6 gallons of fuel we’re seeing a 500+ lb bike?